A man was sent to hospital with burns to his upper body after a fire broke out in his house in Surrey on Saturday. 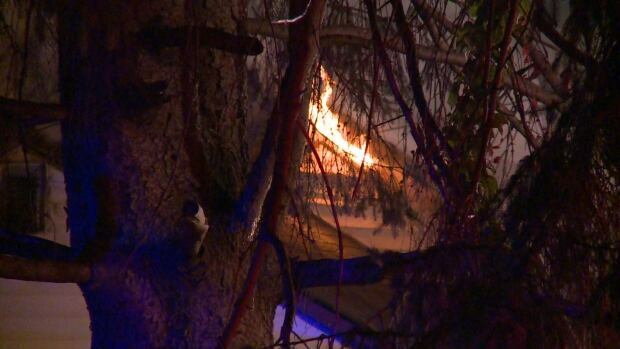 Fire crews were called to the house in the 11500-block of 127A street in the Bridgeview neighbourhood of Surrey around 8 p.m.
Crews arrived to find the house fully engulfed in flames, but had to temporarily stop their attack when they heard some live ammunition detonating inside the house. The man was taken to hospital, but his dog is still unaccounted for. Carmichael also said the man was with his dog when the fire broke out, but that the dog remains missing. 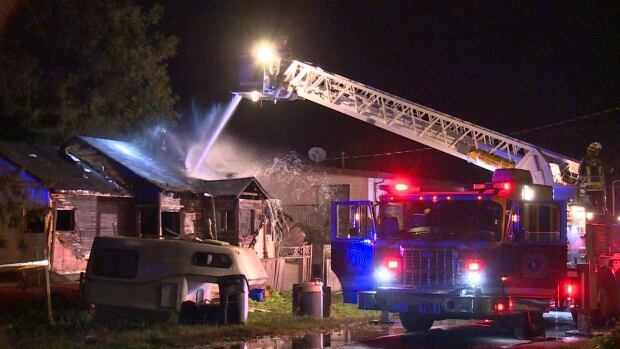 The house fire ignited again around midnight Friday, possibly due to some missed hotspots in the roof. Fire crews were called out again, and extinguished the flames quickly. The damage to the house is extensive, and won’t be liveable, according to Surrey Fire. The cause of the fire is still under investigation. Firefighters blast water into the roof of the house after the fire reignited around midnight. Is Anushka Sharma gearing up for Hollywood?